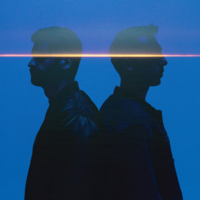 Odesza (stylized as ODESZA) are an American electronic music duo from Seattle consisting of Harrison Mills and Clayton Knight. The group was formed in 2012 shortly before Mills and Knight graduated from Western Washington University. Their debut album, Summer's Gone, was released in 2012 to much acclaim in the underground electronic music community. Following Summer's Gone, Odesza released their first EP in 2013 entitled, My Friends Never Die. Harrison Mills and Clayton Knight met during their freshman year at Western Washington University. However, they did not begin collaborating musically until their senior year in 2012. As a child, Knight was classically trained in piano and later learned guitar. The duo quickly released their debut LP, Summer's Gone, on September 5 later that year. Their debut EP, My Friends Never Die, was released a year later. Odesza was booked to open for Pretty Lights on his Analog Future Tour in the fall of 2013. Odesza is the Hungarian spelling for the city of Odessa, Ukraine. The band say their name is taken from the name from Mills' uncle's ship, which sank. Only his uncle and one other crew mate survived. They also claim that since the spelling "Odessa" was already being used by a Scottish synth band, they instead chose to use the Hungarian spelling, replacing the "ss" with "sz".